Our Easter was extremely quiet this year. There was no big family gathering as on past Easters. I am still not sure exactly how I feel about that; definitely mixed feelings on this. There were at least ten people missing from around the dinner table. Ha- as a matter of fact, herein lies part of the problem- we no longer HAVE a dinner table because we haven't the room for one anymore, our home is too small to accomodate the size table needed. So, I guess I am feeling kind of sad about the whole thing. Another part that I feel sad about was the dessert I made for the four of us that were here for dinner. 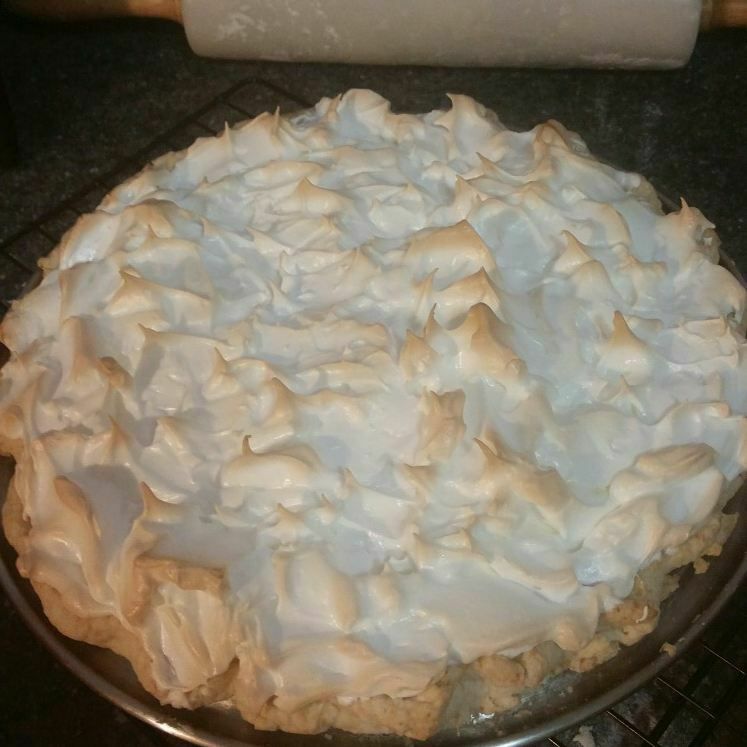 I always offer two suggestions for Easter dessert and this year was no different- who wants lemon meringue pie and who wants angel food cake with cherry pie filling and whipped cream. I take a poll and make whichever one gets the most requests, and it is usually the angel food cake. 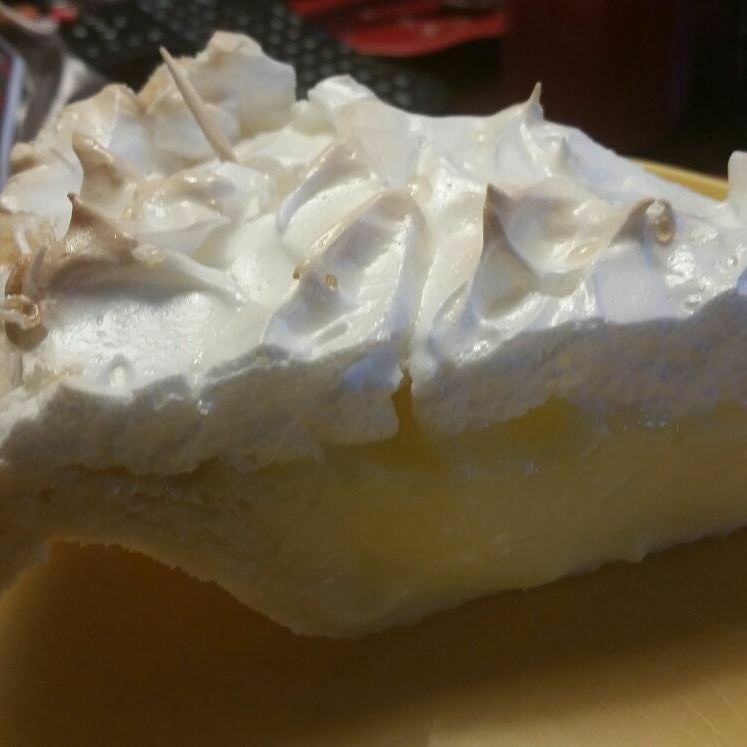 This year, because there was only the four of us, I went ahead and made the lemon meringue pie. I hadn't made one since the late 1990's, at least not from scratch. Finances dictated that, this year, a homemade-not-from-a-box pie was on the menu. I researched recipes (there are tons!) and just went with the one I have in my collection of pie recipes. I have used this recipe before and as far as I remembered it was always a success. It was this year as well, except for myself. I found it to be too sweet and not lemony enough. The rest of the household loved it and devoured it. I am thinking the reason I didn't enjoy it is because, ever since I stopped drinking pop (soda for my American friends) EVERYTHING tastes way sweeter. I even don't eat as much chocolate (gasp!! I know, right?!?) as I used to. I am sharing the recipe here. Maybe you will have better luck with it then I did... I also tried a different pastry recipe - why I did that I have no idea - but I liked it and will use it again. Filling: In a medium sized pot, stir together the sugar and cornstarch. Stir in hot water and egg yolks. Place over medium heat and bring to a boil, stirring constantly. Boil about 1 minute, then remove from heat. Stir in lemon juice, margarine and salt. Cool. Spoon filling into baked pie shell. Beat together egg whites and cream of tartar until you have a stiff froth. Add sugar gradually while beating until stiff and sugar is dissolved. Pile onto filling, making sure to seal it to the pastry all around - there should be no filling showing at all. Bake near top of 350 degree F oven about 10 to 15 minutes until browned. Put flour, brown sugar, salt and baking powder into a large bowl. Mix thoroughly. Cut in lard until the size of tiny peas. Break egg into a 1 cup measuring cup and beat with a fork, Add vinegar. Pour in enough cold water to measure 1 cup. Pour a little at a time over flour mixture, tossing and stirring with a fork until all liquidis absorbed. Shape into ball. Divide into 4 flattish balls. Wrap and store in fridge for up to 2 weeks. Freeze to have a continuing supply on hand. Divide one of the flattish balls in half, using one half for pie shell. Wrap the other half for either storing in the fridge or freezing. ​Roll out to fit pie plate, flute edges and prick all over with a fork. Bake in 400 degree F oven about 10 to 15 minutes until lightly browned.